Feral cats are the offspring of lost or abandoned pet cats that were never spayed or neutered. Some are fed and fostered by people, but others are not so lucky, and so we appeal to you to open up your small-holding or farm for them to call home, not as a pet, but as a feral wild cat. 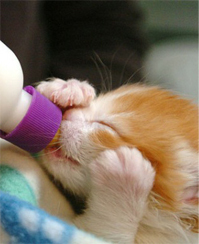 If you are interested in fostering feral cats, please contact Engela James at 083 468 3143.